This scooter is the largest portable scooter in its range. 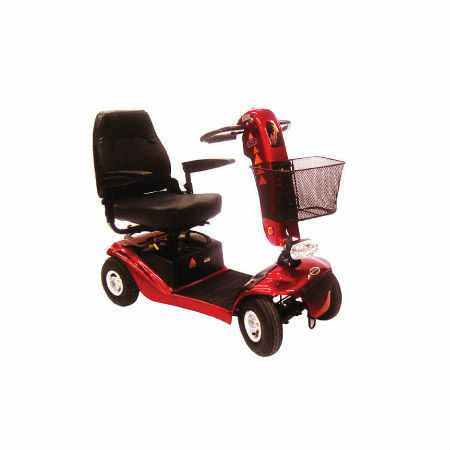 It can be easily disassembled, has an adjustable rotating mid back captains seat and a front shopping basket for carrying small items. The Shoprider Crossover is robust and safe.